I purchased these lamps for bedroom nightstands and they look great! They are modern and sophisticated, with a great silver color and texture. I would definitely purchase these again! Illuminate your space with a touch of contemporary style. 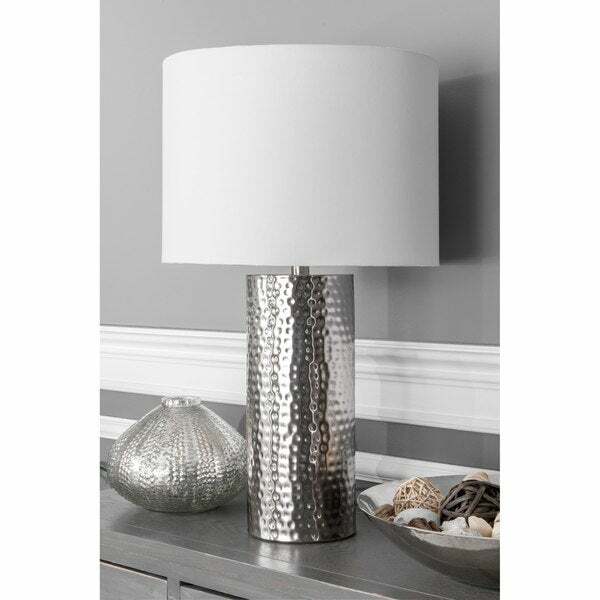 Warm and luminous, with a silver nickel base, this lamp will make a refreshing and stylish addition to your space. Terrific lamp. It really does light up the bedroom where it is situated, and makes the resident very happy! I loved the height of the lamp. It has a strong presence in the room and it goes well with other accessories that I already had in my family room . These lamps look good but are so cheap and none of the parts fit right. Lamp shades are very cheap.